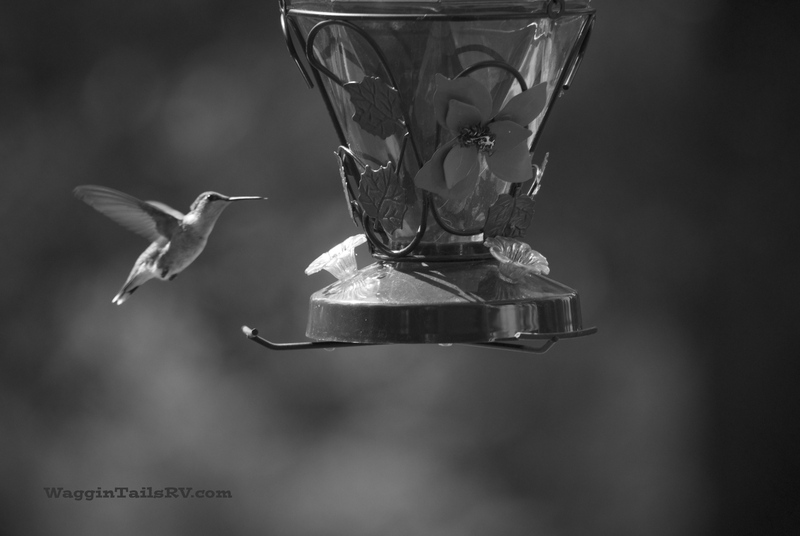 I have agreed to participate in a 5 Day B&W Photo Challenge beginning Sunday March 1st. Fellow blogger The Happy Hugger has been doing this for the past few days. I’ve looked through my photographs from the past three years and selected a few that I believe will be suitable for this challenge. The photos presented here did not make the final cut. Rather than let them remain in a dark electronic folder, I decided to give you a preview of what is to come. Feel free to re-blog this post or copy/paste this link (http://wp.me/p2BR7o-OI). This photo was taken just outside our RV in July 2012 while we were workamping at Windy Valley Llamas in Blue Ridge, GA.
Carol and I were taking a drive through the country side near Monroe City, Missouri in June 2013 when we came upon this old building. It is amazing to see these old structures unoccupied, yet still standing tall and strong. We workamped at Mark Twain Landing in Monroe City, MO from April through October 2013. 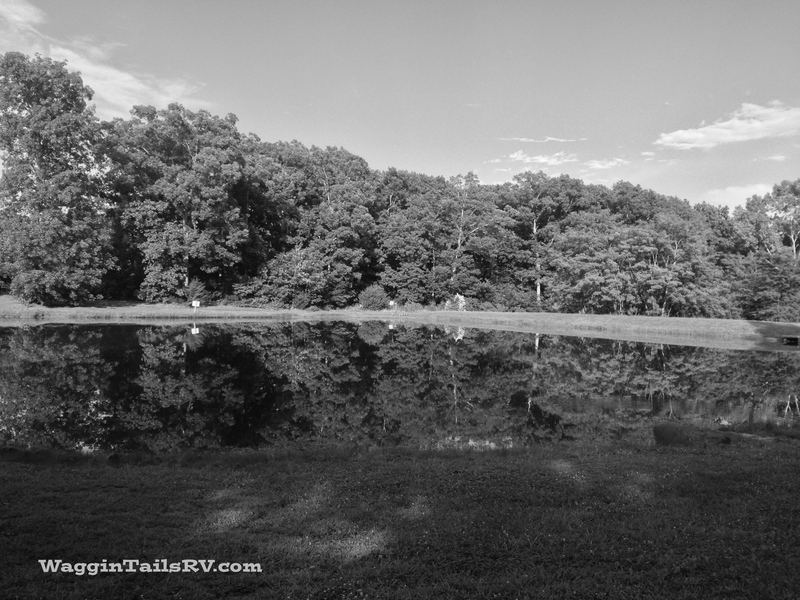 This reflective symmetry photo is of the catch and release pond on the property. We workamped at Tremont Outdoor Resort in Townsend, TN from November thru December 2013. Cades Cove, on the southern end of the Great Smoky Mountains, has to be one of my favorite spots to explore. 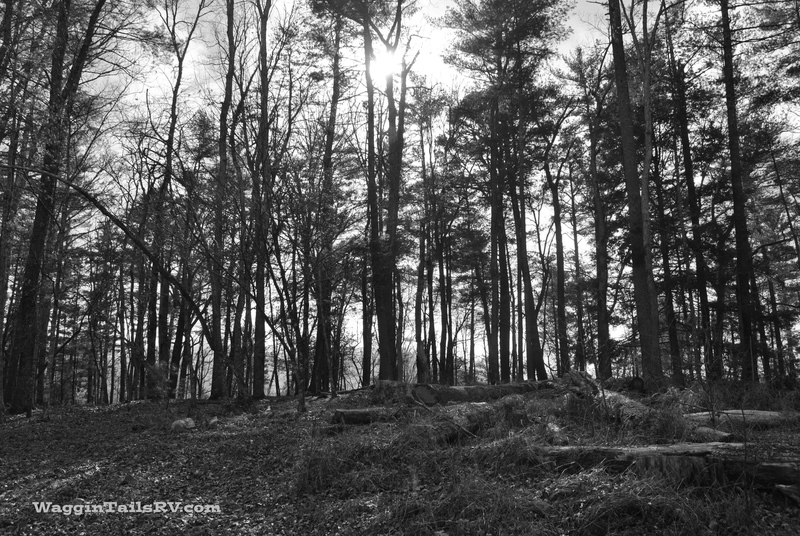 This shot was taken mid afternoon in November 2013 looking through the trees that provided a backdrop for the photo. The historic Missionary Baptist Church, built in 1915, is to the left of were I stood for this photo. 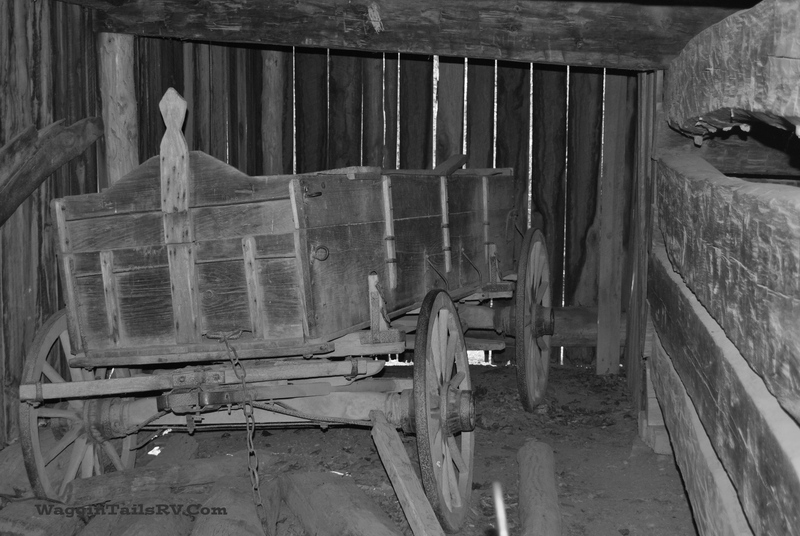 Another shot from Cades Cove – this well-preserved wagon has found its resting place in a cantilevered barn in the Cable Mill area. 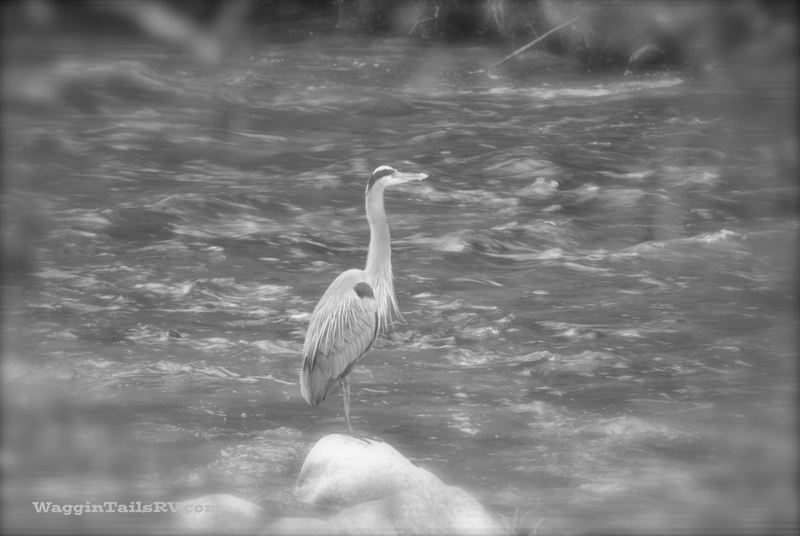 Between Cades Cove and Townsend, we came upon this Great Blue Heron perched on this large rock in the middle of the West Prong of Little River. He put on quiet a show for us. 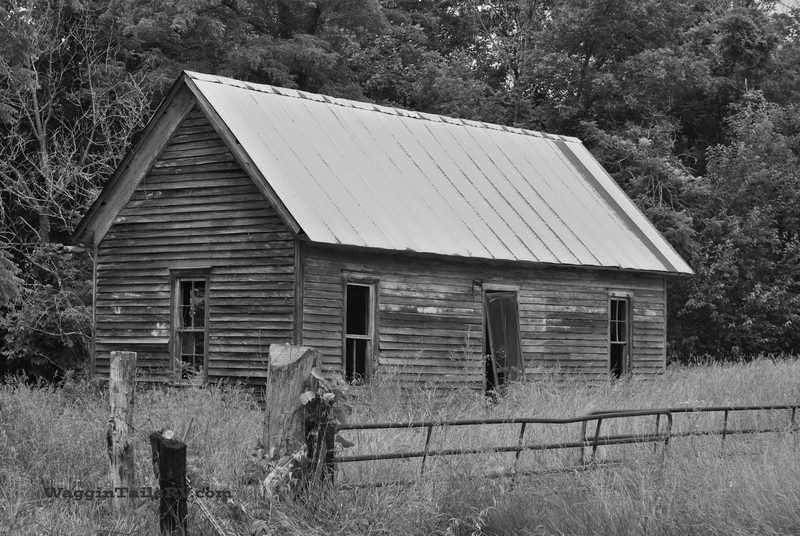 We stumbled upon this old barn while taking a side trip from Townsend, TN to Blue Ridge, GA in December 2013. 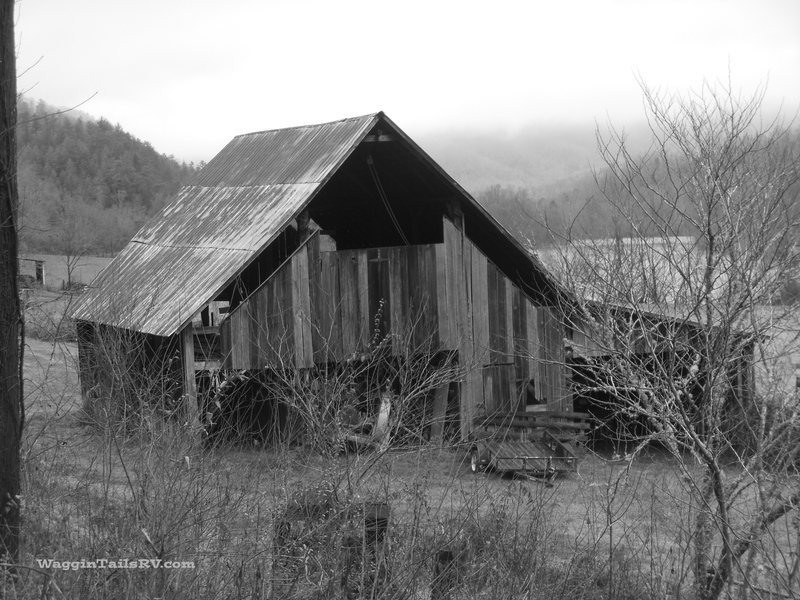 The barn is near Hiwassee Ocoee State Park in Delano, TN. 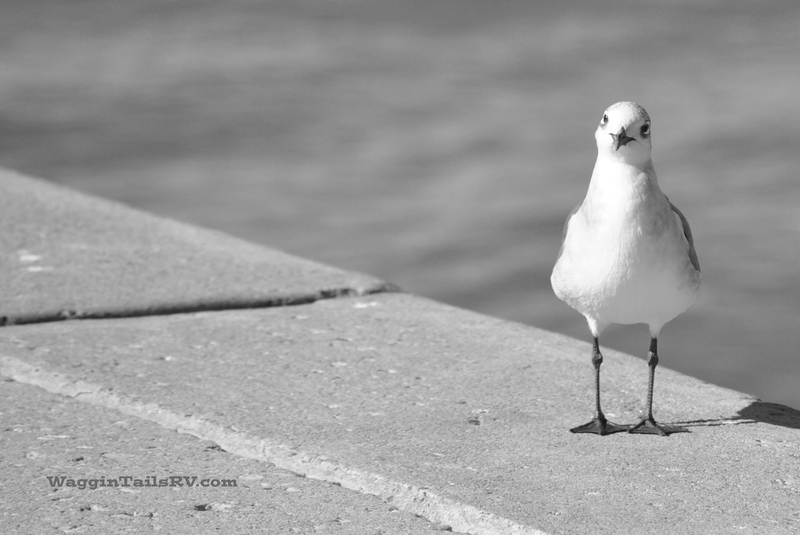 This Laughing Gull greeted us the last time we were in Corpus Christi, TX (Jan 2014). 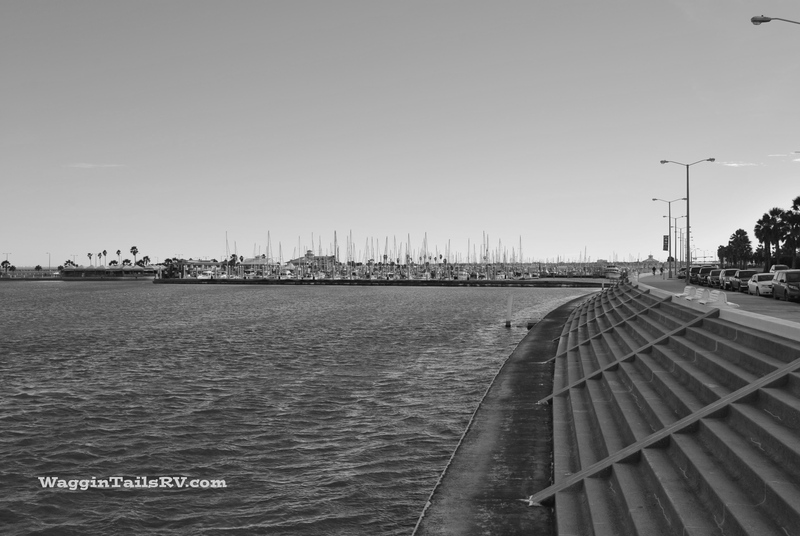 A parting shot along the sea wall looking towards the Corpus ChristiMarina is a final farewell to the town where we spent 20+ years prior to retiring. 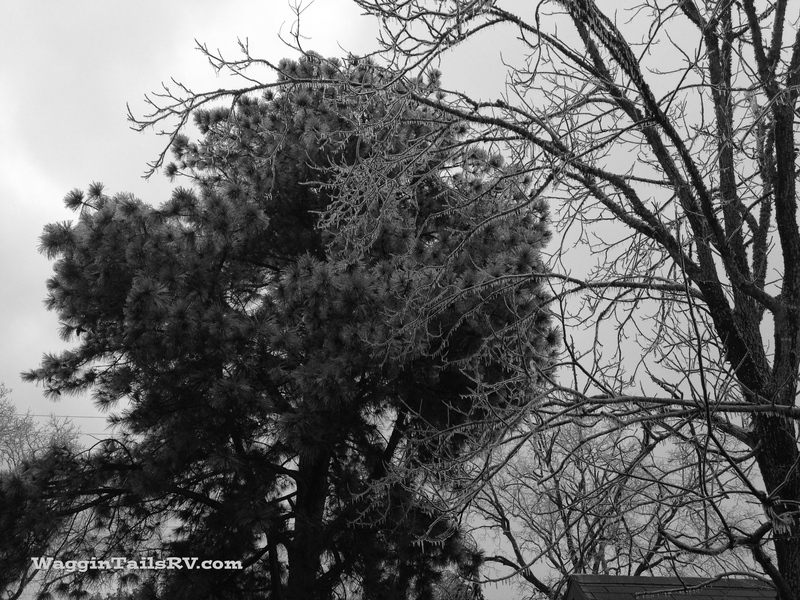 The tree on the right was covered with a thick layer of ice from a cold spell at Lone Star Yogi in Waller, TX. This is where we spent the summer 2014. 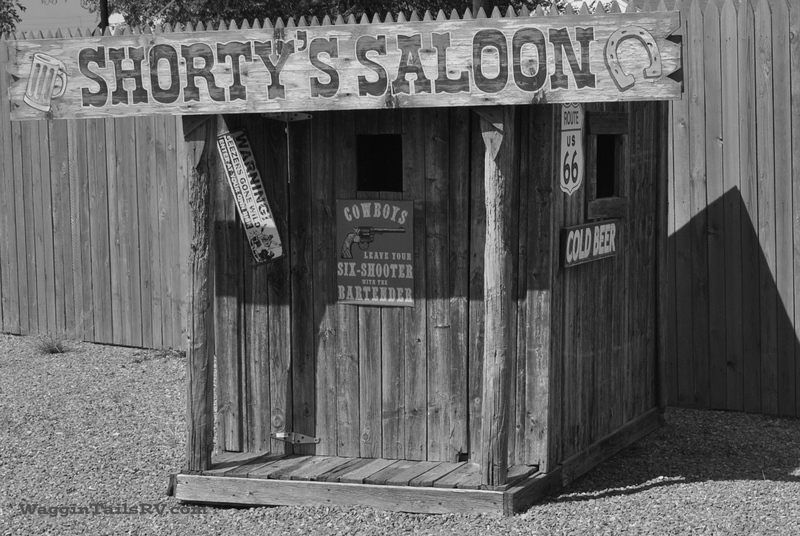 Shorty’s Saloon is a cute art piece that sits in front of an auto repair garage on I-40 in Amarillo, Texas. The fence behind the saloon is a standard 6 foot privacy fence. This has been a fun project. I look forward to the start on Sunday, March 1st. Thanks for stopping by, y’all come back now. This entry was posted in Friday Photo, Photography and tagged 5-day B&W Photo Challenge, Windy Valley Llamas. Bookmark the permalink. Love the Laughing Gull! These are really great pics.